The European Space Agency's successful landing on a speeding comet is captivating the world. Now the Philae probe is sending back images of its new home on Comet 67P/Churyumov-Gerasimenko. But it can be hard to wrap one’s mind around the scale of things in space. So the ESA made some images showing the comet over cities in Europe. This one places it in Paris. Spanning 4.1 kilometers, the comet would roughly cover a distance from the Arc de Triomphe to the Louvre. Picture a group of 100 people. Now imagine 89 of them have a gun. That's the average ratio of firearms to people in the U.S. according to 2007 figures from the monitoring group Small Arms Survey. Now consider this: the country with the second-highest rate of gun ownership is Yemen. And it has an average of 55 guns per 100 individuals. The Second Amendment of the U.S. Constitution is commonly quoted as "the right to bear arms," though its meaning is frequently debated. The recent massacre in the state of Colorado has put new attention on gun control laws. But skeptics doubt anything will change... and point to past tragedies as proof. The Columbine school shooting of 1999 happened in Littleton, Colorado. That's just 18 miles (30 km) from Aurora. The Olympics kick off in London just two weeks from now. Athletes are set to arrive this weekend. But the British government has just called up 3,500 troops to help fill a gap in security personnel. The deployment means that 17,000 troops will be on duty in the United Kingdom during the Games, compared with the 9,500 currently in Afghanistan. Here at News Stream, we are always trying to "visualize" the news. We've added a category to the blog called, "Great graphics" if you'd like to see some others. Facebook may be the biggest social network, but it wasn't the first. You might remember MySpace and Friendster. You may have had accounts on those sites. But when was the last time you visited them? Does anyone use those social networks anymore? Turns out plenty of people do... if you know where to look. 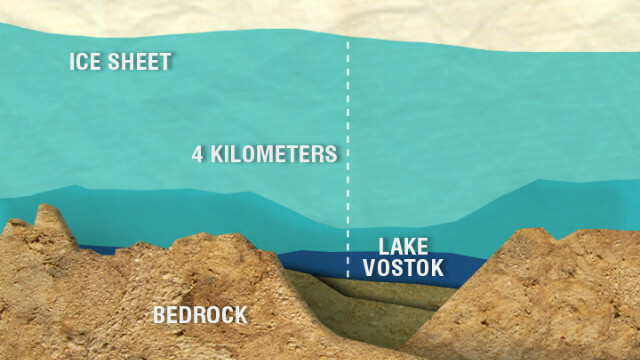 Russian scientists have reportedly unlocked Lake Vostok. That is Antarctica's largest sub-glacial lake. It has been sealed up for about 20 million years. Monster croc captured: How big is it? That man is hugging what's said to be the largest saltwater crocodile in captivity. News reports in the Philippines say it measures 6.4 meters long and weighs a whopping 1,075 kilograms. As if that wasn't scary enough, this monster croc weighs more than the original Mini Cooper... or about the same as the current Mini Cooper Coupe. Can tiny Qatar handle one of the world's biggest sporting events? 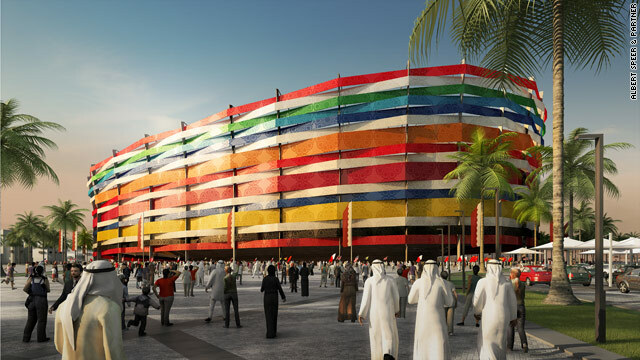 I need to start with a disclaimer: I am not against the 2022 World Cup going to Qatar. I just can't wrap my head around how it will work. We've heard before how tiny Qatar is. How it's the smallest country ever to host the World Cup. But putting it into perspective makes it even more inconceivable. Qatar is less than a third the size of the next smallest country to host the World Cup, Switzerland - and the Swiss hosted it in 1954. There were only 16 teams, 26 matches and a total attendance of 890,000 at the 1954 World Cup. Compare that to 2010: South Africa hosted 32 teams, 64 matches, with a total attendance of 3.2 million . And remember that Qatar has a population of just 1.7 million. How will all those visitors fit into one small country for a month of football? And they will be clustered into a small part of Qatar: 10 of the 12 proposed stadiums are within a 30km radius. It's staggering to think that Doha wasn't considered suitable to host the Olympics in 2016... yet six years later, the city will take on the most of the burden of staging an event that normally takes an entire country to host. On the pitch, Qatar's challenges are no less daunting. They have never qualified for the World Cup before. This is not unprecedented; Japan were awarded the 2002 World Cup before they'd ever reached the tournament, but Japan eventually did qualify in 1998. Leaving aside the first two tournaments for obvious reasons, no country has ever made their debut in the World Cup as hosts. Can Qatar qualify? It's not impossible; they have come close on two occasions. But it's also fair to say that they are not very good. Qatar are ranked 113th in the world, below Haiti, Gambia and Iceland. They have failed to win any of their last 11 matches at the Asian Cup; their last victory was back in 1988. And in the wake of Qatar's successful bid, a video featuring an awful miss in front of an open goal by a Qatari player started trending high on social media. On the bright side, Qatar have longer than most hosts to prepare: There are a full 12 years to go until the first Middle Eastern World Cup. But they also have more challenges to solve than most World Cup hosts.